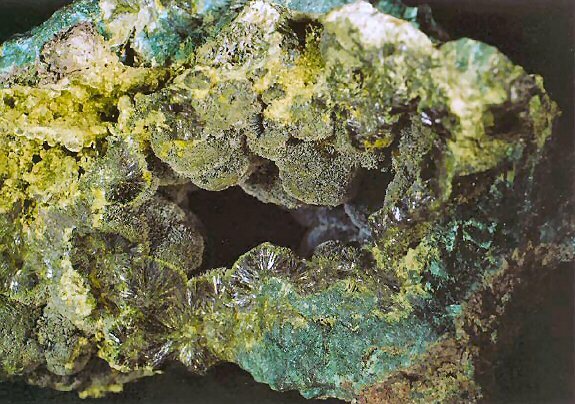 Comments: The holotype specimen of botryodal, olive green turanite (#3578) in a cavite in white barite from the collection of the Fersman Mineralogical Museum (Moscow, Russia). (CanMin, v 42, p732). Location: Tyuya-Muyun Ra-U deposit, the Alai Ridge foothills, Osh district, Kyrgyzstan. Scale: Specimen size 4.5 x 7.5 cm.